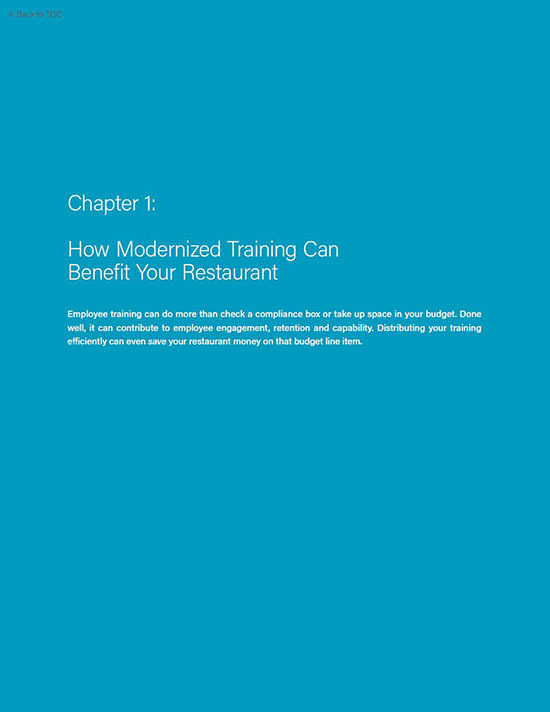 Updating how you provide restaurant training can help you engage and attract employees, get them up to speed more quickly and cut down on costs. 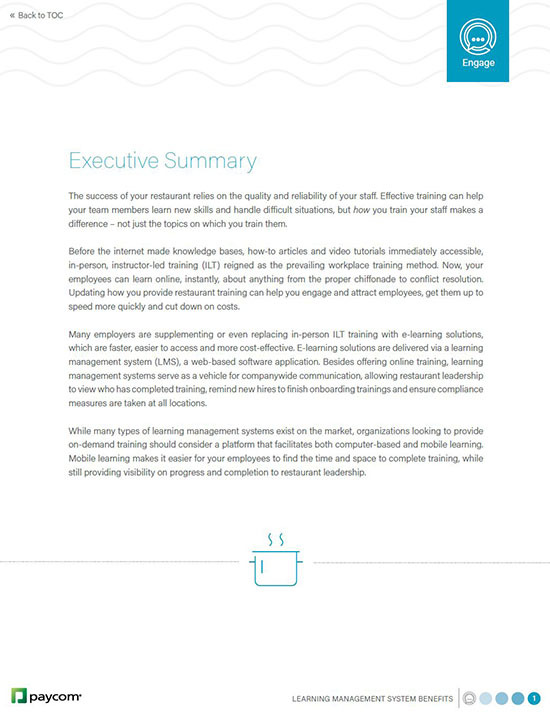 Your employees can learn online, instantly, about anything from the proper chiffonade to conflict resolution. 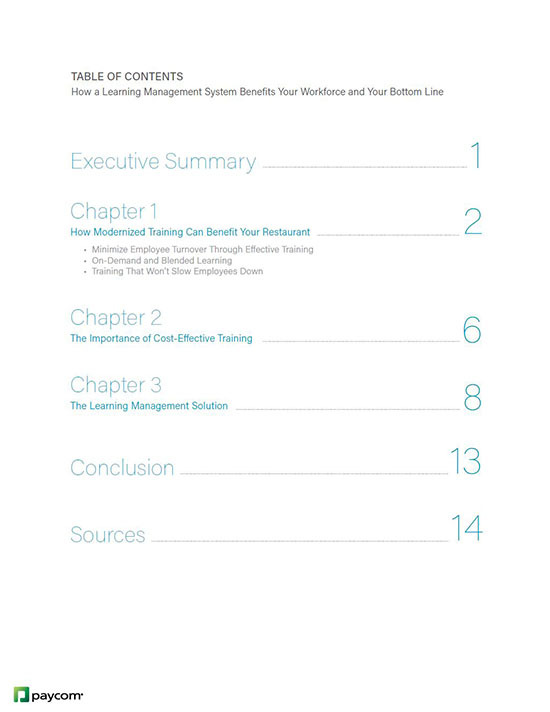 In this guide, you’ll learn how modernized training can benefit your restaurant, the importance of cost-effective training and how a learning management system can help. 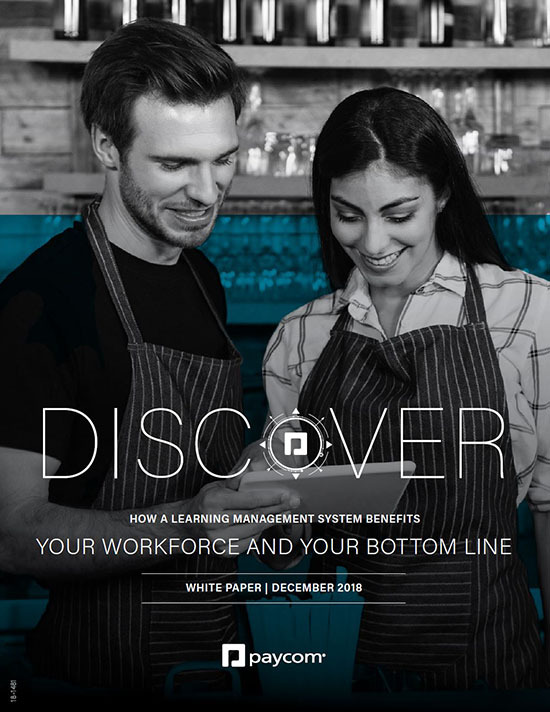 Give your workforce purpose, reward their wins, and equip them with the knowledge to advance. Establish a uniform system to conduct fair and objective evaluations. Tie compensation to performance, in order to consistently recognize and develop great employees, while staying within budget.